Picking a therapist can be a challenging process, and picking an equine-facilitated therapy program is no different and can in fact be more complex due to the variables below. Providing equine-facilitated therapy is both an art and a science that weaves together training and experience in the three core areas of therapy, working with horses, and equine therapy. Below is a list of factors we encourage you to consider when researching and weighing out your options, with the most important factor listed last. Who is facilitating the experience? What is their scope of practice? Does the facilitator have a specific profession within which they are conducting equine-facilitated interventions? NOTE: To practice “therapy” in Ontario, the person facilitating typically would need to be one of the regulated health professionals mandated to offer psychotherapy (registered psychotherapists, psychologists, social workers, nurses, occupational therapists and medical doctors trained as GP psychotherapists). What core training do they have in their professional field? What ongoing professional development trainings have they completed? Do they have a particular area of focus in which they have completed additional training, consultation or experience? (such as working with trauma, attachment dynamics, anxiety, grief and loss, etc.). Do they have specific training in this area? If so, what is it and how long is it? Do they work with a horse professional or do they work solo? Either option is legitimate, provided that if working solo, the therapist is also cross-trained in working with horses. The facilitator might not be a credentialed therapist – instead, they might be a life coach, energy healer, schoolteacher, spiritual guide, or other kind of professional. If this is the case, inquire about their backgrounds and experience, and recognize that there can be at times a blurry line between “therapy” and “personal growth”. Healing can learning can come in many forms, and there are both skillful and less skillful people in any professional field, “regulated” or not. What therapeutic approaches do they use “in office”? In “office” therapy, therapists typically will have certain orientations in their work. They might be cognitive-behavioural, solution-focused, narrative-focused, body-oriented, psychodynamic, Gestalt, expressive arts focused, spiritual, integrative, holistic, and so on. Each of these orientations will have a very different “feel”. Some might be trained in specific modalities, such as Cognitive-Behavioural Therapy, Dialectical Behaviour Therapy, Mindfulness-Based Stress Reduction, EMDR, Emotion-Focused Therapy, Somatic Experiencing, Sensorimotor Psychotherapy, Hakomi Therapy, and so on. The therapist’s orientation “in office” will typically carry forward in how they “do” equine therapy, so be sure to see if this is a fit for you. Do they have equine therapy training? If so, what? There are many trainings out there in equine-assisted interventions. Some are at most a weekend long, and some range over a year in length, with varying lengths in between. Be curious about the length and amount of training the facilitator has in the area of equine-facilitated interventions. Like with “office” therapy, there are different orientations within the equine-facilitated therapy world. Some are more solution-focused and cognitive behavioural in feel, while others are more body-oriented, or focused on mindfulness or explore the more spiritual / archetypal side of horses relating with humans. Some trainings in equine therapy are more trauma-specific, while others focus more on attachment dynamics or other issues. Some equine-facilitated interventions trainings do not train facilitators in how to do “therapy”, but are instead more focused on life skills coaching and personal growth. Many therapists take these trainings and apply them within their scope of therapy practice and their existing orientation. If the therapist does not have training in equine therapy, do they partner with someone who does? What is their horse experience and view of the horse? 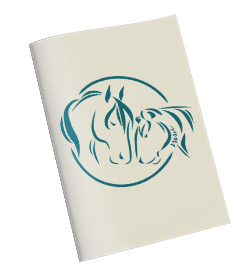 Whether you are working with a cross-trained solo practitioner or work with a cross-trained therapist-horse professional team, it is important to know what the facilitators’ horse experience is, what their discipline or orientation is in the horse world (English, Western, natural horsemanship, Equine Canada Coach, etc.) and how they view and treat horses. If you have a chance to visit with the therapist or team, whether to get a tour or to have a first session, your gut sense will be your most important asset in helping you make a decision. Do you feel safe emotionally and physically with them? What stood out for you the most about your time with them? What did you notice about the horses, in terms of their health, living conditions, and how you felt about your (or the facilitators’) interactions with them? Pay attention to the wisdom of your body in making a choice that is best for you. The focus of all of my work is learning to become aware of and connect with our own presence and awareness: learning to track oneself within several realms, from the innermost center of the Self, through the multitude of layers within the physical body, continuing through to the energetic body as it extends outward. This provides an embodied experience that grounds us as we move through our world on a daily basis. This awareness allows our nervous system to settle, feel more regulated, and to make changes as needed to help keep us in balance with ourselves. Working with horses and Somatic Experiencing adds an element to our awareness by allowing us to receive connection and feedback from another being that lives in the present moment and is designed to be apart of a herd/group field. This gives each person a unique opportunity to see a reflection from the outside of their own being, as they meet in any given moment. Horses are wonderful teachers, their kindness and willingness to be in service to our learning is always a moving experience.